Indian restaurants San Francisco can add a little spice to any visit to the Bay area. You'll feel no need to make pilgrimages to Bombay or New Delhi for Indian food when in San Francisco. There are plenty of great restaurants to choose from. Check out our guide to eight of the best Indian spots in the city. 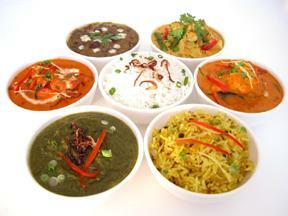 This critically-acclaimed Indian restaurant is very popular with the South of Market business crowd at lunch. Portions are gigantic! If you're a spice wuss, beware. Excellent prices on all entrees. This Richmond district Indian eatery is popular for a lot of reasons, one of the primary ones being its massive, incredibly inexpensive lunch buffet. The menu is huge. There's no extra charge for home or office delivery. This upscale, simplistically elegant restaurant specializes in cuisine from Northern India, and has been drawing big crowds since its opening. Be sure to order one of the tandoori dishes. Expect a wait if you drop in without a reservations on a weekend night. Locals love this intensely romantic Indian restaurant, which features award-winning cuisine and three separately themed rooms to dine in. Prices can be slightly above what you're used to paying for Indian food. This beloved Indian food institution churns out hot, delicious curries and tandooris in no time at all. You order at the front counter, take an identifying number for your table, and in just a few minutes, get your food. Any San Franciscan you ask for Indian food recommendations will most likely include this place on their list. This Mission District Indian eatery, one of the best Indian restaurants San Francisco, has California cuisine influences running through many of its entrees. The food is delicious, and the dining room is comfy, casually elegant and roomy enough to host big parties. Home delivery is available, too. Rotee is one of the new kids on the Indian restaurant block, having just opened their doors (to great acclaim) in 2004. They specialize in Pakistani/Indian cuisine. The dining room is fun, colorful, and minimalist. Delivery is available. Don't let the gritty, intense Tenderloin neighborhood Shalimar is located in scare you off, you'll miss out on some of the city's best Indian food if you do. While the décor could use some re-touching, all the dishes that come out of the kitchen are perfect as is.